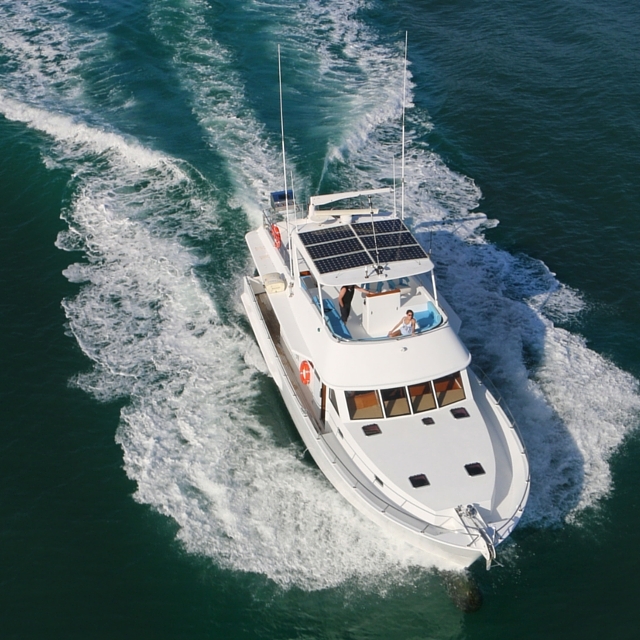 She is built for comfort both on the sea, and on board, featuring the latest in marine design along with exceptional quality in her fittings. 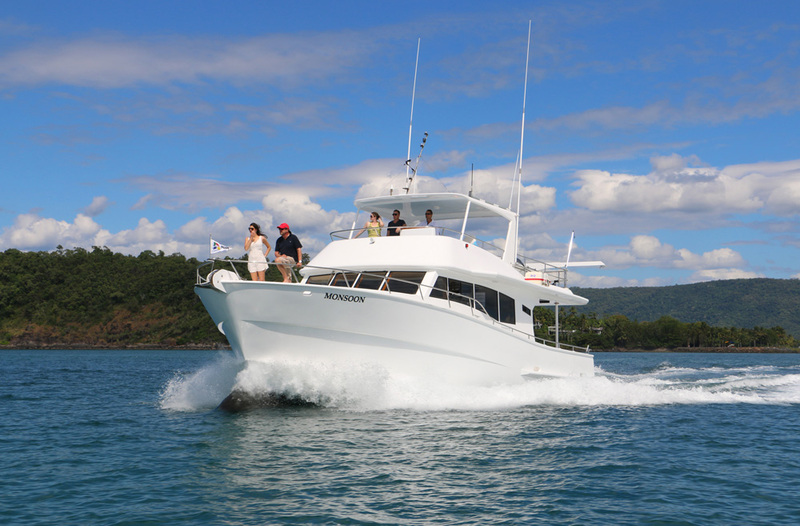 Enjoy the luxury of a spacious main saloon, galley, master suite, two twin share cabins, day head and guest bathroom. 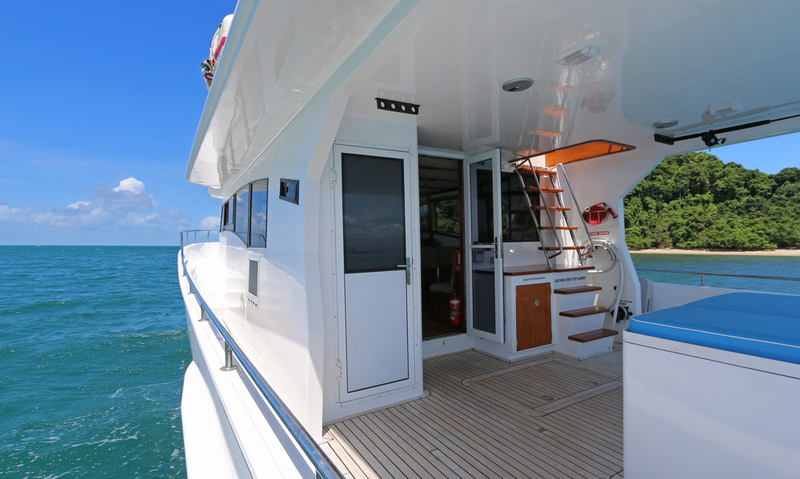 The stainless steel galley kitchen is appointed with a gas cooktop and stove, microwave, dishwasher and coffee machine. 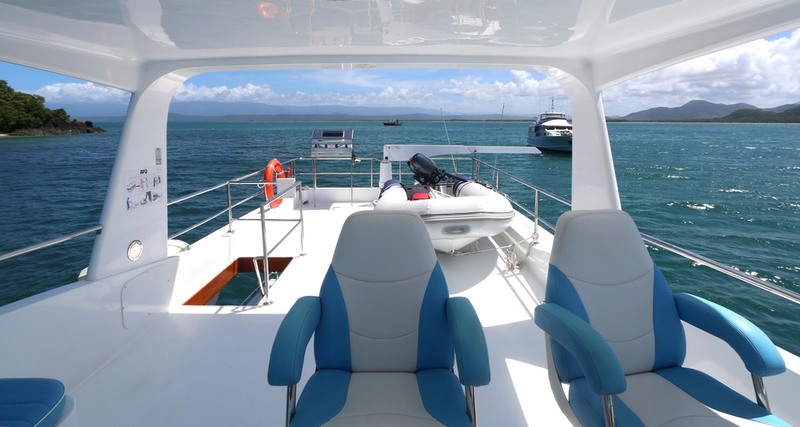 You may like to enjoy your cruise from the protection of the main aft deck, or savour panoramic views from the flybridge. ...the boat is all yours for the day, so play to your hearts' content! 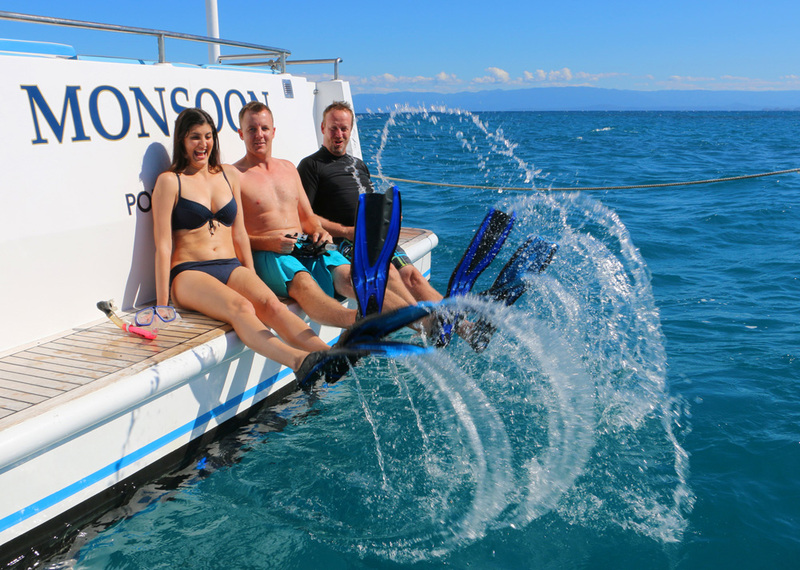 All equipment for snorkelling is provided, as well as flotation devices and lycra stinger suits. 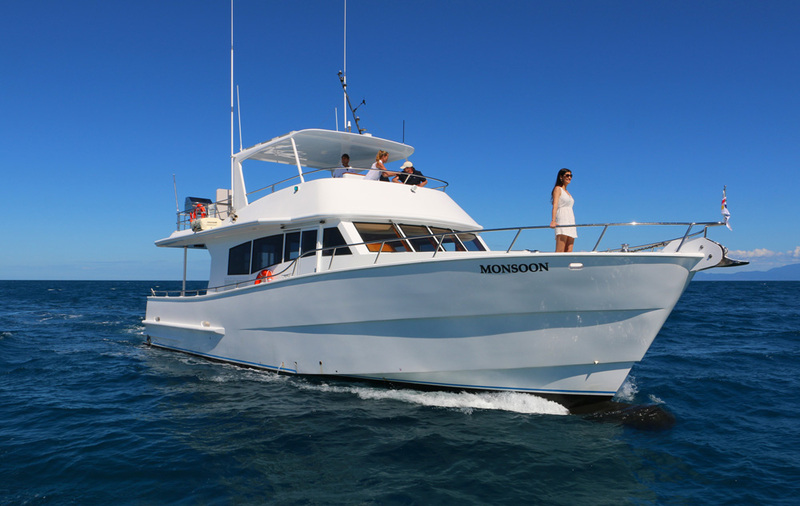 Diving equipment may be arranged, as well as any other watersports equipment you would like to try. Tackle, bait, rods and reels for light tackle or sport fishing is also supplied. Bring your hat, bathers and a towel..and get ready for sand, salt, sea and sunshine!